I'm looking for a comprehensive list of books written on the elementary level which deal with childhood adversity. These could be books which are meant to be read with children who have ACEs, or could be made available, for example, in an elementary school wellness center, and could be read by these children themselves. There are many books about worries, fears, manners, anger management, kindness, and various character traits. What I am wanting to explore is books that deal more with actual childhood adversity. One example is "My Daddy Is In Jail", by Janet M. Bender, M. Ed. I recently went to my favorite bookstore (which happens to be the largest used and new bookstore in the world) in search of such materials and found very little, in a TINY section of miscellaneous children's issues. If you have such a list, please share! If the link doesn't work properly, visit www.futureswithoutviolence.org and click "order materials" under "resources & events" tab. I would like this information also. I wrote a book called, "Stories for Kids in Divorce, A Read Aloud Storybook." While it is mainly about kids in divorce, it can accommodate children from any trauma situation. There are 13 stories in the book and each story deals with some kind of emotion. At the end of each story are questions the parent or caregiver can use to stimulate discussion between the adult and child or group of children. There are no pictures in this book. I wanted the kids to imagine themselves or their friends, teachers, parents, etc. in the story situation. Usually when it is read to kids they will stare into space or close their eyes and you can see they are picturing themselves in the story. When kids read it themselves they don't mind not having pictures in the book. I hope this helps in your search. I recommend checking out "Once I Was Very Very Scared" by Dr. Chandra Ghosh Ippen, from the Child Trauma Research Program at the University of California, San Francisco and the National Child Traumatic Stress Network (NCTSN). It's a children's story was written to help children and grown-ups understand how stress can affect children, the different ways they respond and communicate, and ways to help them. Hope this helps! Best wishes on building brave, resilient children. Thank you so much! I will check it out! Thank you all so much for your helpful and thoughtful responses to my question. I am doing my best to compile a comprehensive list. I just wish money grew on trees so I could buy them all and make them available to the students at the school where I work! I will do all that I can though! Hi, Sabrina: Besides all the books the members of this wonderful community have posted here, there may be more scattered throughout the Books section in this network. An assistant principal here in DC, Dwight Davis, recommended a book for older children at a forum reported on in ACEs Too High—"Davis was enthusiastic about the use of bibliotherapy as a way for students to talk about their own experiences of trauma, noting how the character Maleeka in The Skin I’m In by Sharon G. Flake helped some of his female students open up." He introduced the concept of bibliotherapy to me. Fantastic tip! Thank you very much! As a Clinical Physiologist I just released the first book of the "Adventures of Hopper," trauma informed book series for educators and parents of kids ages 5-9. The book series is designed to build resilience, greater psychological awareness and greater self confidence in youth to deal with adverse childish experiences including bullying and disaster trauma for better outcomes and to ameliorate trauma from many of the things they are dealing with nowadays. HI, My name is Janine. 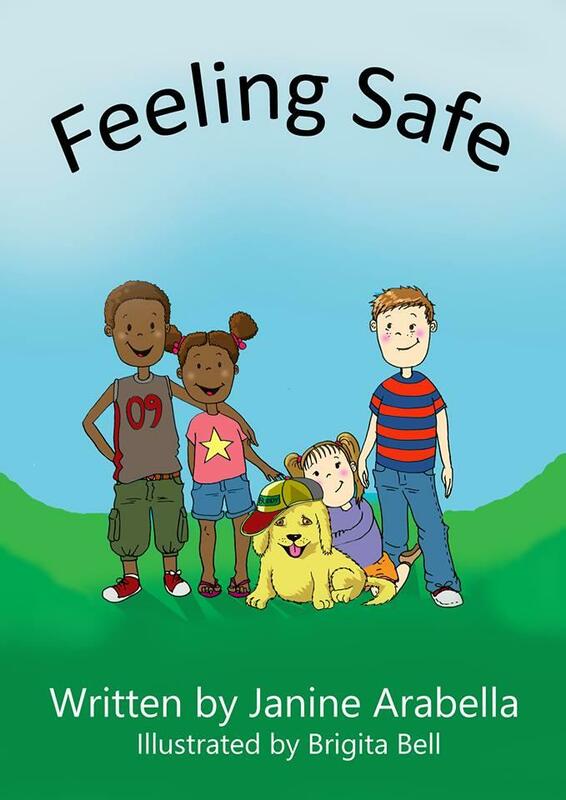 Helping children feel safe is a passion of mine and I written a children's picture book on this very topic. 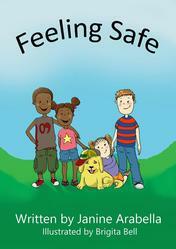 FEELING SAFE is the first book in a series called "Every Child Needs'. It is about helping children create positive experiences for themselves of feeling safe and secure, even amidst trauma. An emotionally, engaging and nurturing story which also have discussion topics for parents and adults help understand the child's needs and how they can help the child feel safe. Welcome to contact me directly if you would like to know more about the book or the series. Sorry here is my email address if anyone wants to contact me regarding the above book "FEELING SAFE"
In addition to "Once I was Very Very Scared" (mentioned by another member), "A Terrible Thing Happened" by Margaret M. Holmes is another option. "The Invisible String" by Patrice Karst is good for children with separation traumas. Sesamestreetincommunities.org has great resources (videos, download printables, articles) about difficult times and tough talks. In Oct. 2017 they are coming out with Mental health topics. Their website has one on coping with incarceration. Hello, Sabrina! I was encouraged to share this with you, and I hope it will be helpful! If you have any questions at all, please don't hesitate to contact me! The Library Director in Tarpon Springs Florida, who is a member of Peace4Tarpon has compiled, and organized by ACE, an amazing list of books/resources for children, as well as for parents, related to trauma which are available in the town's library. The list, which she has graciously shared, is attached. Thank you everyone who has contributed your knowledge/awareness/resources to answering this question. I have discovered that it isn't necessarily all that easy to round up this kind of reading material for our vulnerable young people who desperately need to have access to constructive and healthy truths, in gentle and wise form. Thank you all!!! I am SO inspired by this list of resources, thank you so much Sabrina for starting this thread a year ago!! We have also just launched a new trauma-informed children's book series for ages 4-10 about a mermaid yogini named Venus: http://kck.st/2z2Ira2 I would be very curious to hear everyone's thoughts and feedback about this project. Thank you!